In our previous article, I have already said how to correct color in your videos. But if you are wondering how to do color grading in your video and is there any difference between color correction and color grading, then you are in the right place. Because in this article, we are going to explain the differences between color grading and color correction, as well as show you how to use correct color or grade color in post video creation. There are many color grading software available on your Windows PC or Mac, but here I will show you how to use the Color grading and color tuning features in Filmora9 (Latest Filmora version 9). 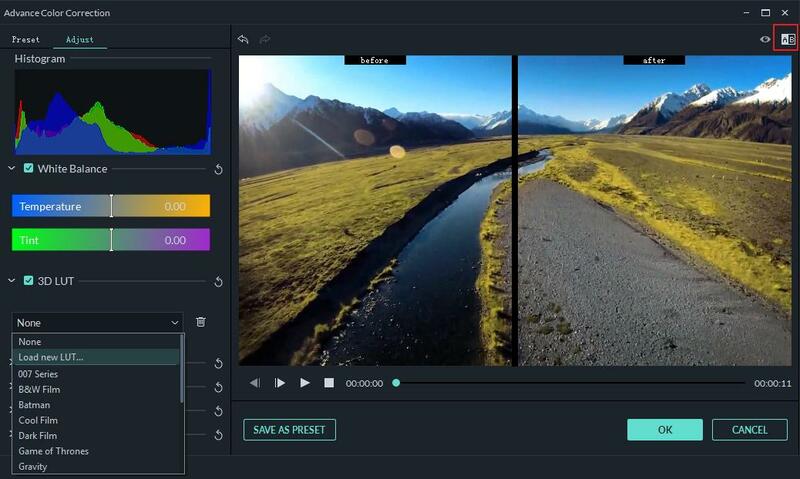 Filmora9 has an intuitive interface which allows beginners and semi-pros to master this video editor quickly. And also, the color tuning tools in Filmora is powerful enough. Don’t believe it? Just watch the video tutorial below and download and try it by yourself. Part 1: Color correction vs. color grading: What's the difference? Color correction is not the same as color grading. But what’s the differences between them? Color correction is the procedure used for balancing the colors throughout the video. It is used for making all the colors appear in harmony, with the proper temperature. As a result, the video appears exactly like it would with a naked human eye. The result is natural, in other words. If color correction does not take place, there is the risk of colors appearing unrealistic throughout the video footage. Color correction also leads to the proper changes in the shades, so that the video appears uniform and without alterations resulting from the different sunlight throughout video shooting. It is worth noting that there is primary and secondary color correction. The former affects the whole color spectrum, whereas the latter focuses on specific colors. Color grading, on the other hand, is pretty different than color correction. In this case, you do not alter the colors to make them seem more realistic. You change them, in order to create something that is visually appealing to you. You may need to highlight something specifically on your video. You can do that by modifying the intensity of red, blue and green. These are the primary colors that change the whole visual outcome when modified properly. According to your video requirements, it is possible that you increase the red color and get a less bright image. When you intensify the blue color instead, you can get a much more intriguing outcome. In color grading, you have endless options that are not limited to an earthly looking video. It is in your hands to enhance the image so that it depicts exactly what you want. Part 2: How to do Color correction and color grading in post video creation? Multiple professional color correction/grading software options are available on the market. Fine examples include DaVinci Resolve or Red Giant Colorista, although both of them are difficult to use and their price is quite high. 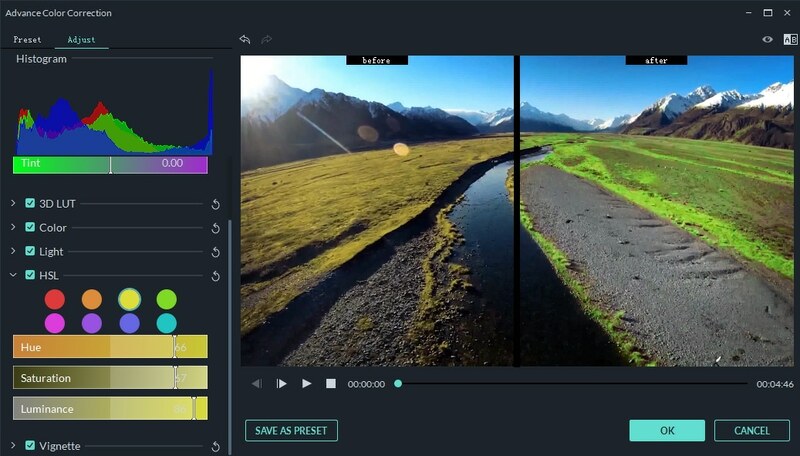 Wondershare Filmora9 (Latest Filmora version 9) is the software we strongly recommend, as with this tool you can make your video cinematic within a few clicks. Unlike competition, Wondershare Filmora9 is easy to use and includes some great features. 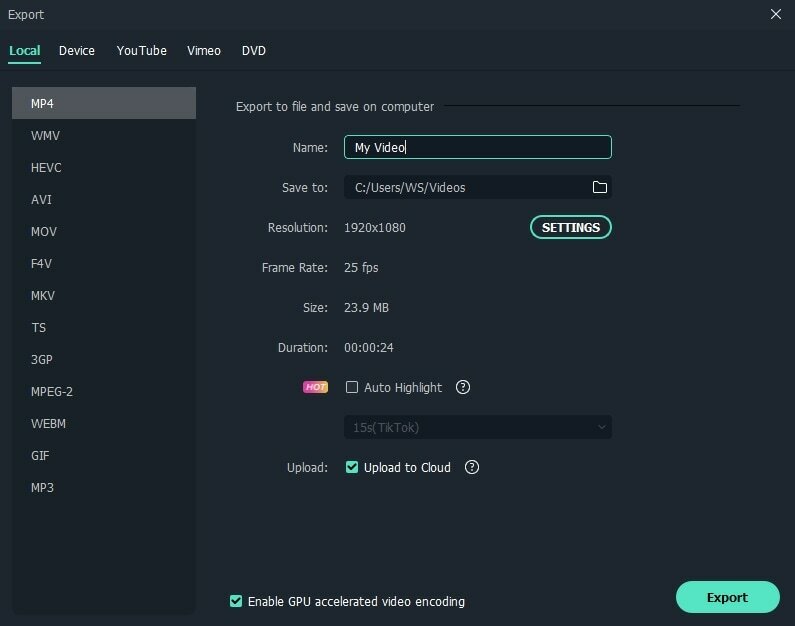 Step 1: Install Wondershare Filmora9 and import the video clips you want to media library. Drag and drop the video into the timeline, then double click on the video clip to enter the edit panel. A tool box will then pop up. Here are normally 4 options available: Video, Audio (if has), Color and Motion. To perform color correction in Filmora9, just switch to Color tab. You can adjust the white balance, temperature, tint, contrast, saturation, and brightness, and apply 3D LUT directly and quickly in this edit panel. You preview the result in the Preview window. Hit the button Advanced at the lower corner, then a powerful color grading window will pop up, and you can explore your options. The color histogram tells you the color state of this video. This reflects the exact allocation of colors throughout a specific image, highlighting the various colors appearing on the screen and the pixels for each and every single color type. When the color histogram is referred to as “Three Color Histograms”, then a specific allocation of the three primary colors (red, blue and green) is reflected. You can adjust the white balance of this video clip here. This offers you the opportunity to modify just how intense each color appears on the video. This is really important since white balance enables you to depict images in a realistic manner. According to the different intensity of the colors, you can get a much-differentiated outcome in terms of realism. 3D lookup tables are part of the digital intermediate process. They are mainly used, so as for you to calculate how the video is going to be displayed on various screens and devices. The color space is accurately calculated and mapped, in order to be projected exactly like you would have wanted. There are of course a lot of 3D effects allowing you to transform the image of your video as per your request. Here are multiple 3D LUT effects for you to choose, to make your video look like a Hollywood film. Like Harry Potter, Bat man, etc. What is more, you can create your own 3D LUT effects in this tool, and save them as preset to use in the next time. You can adjust the Exposure, Brightness, Contrast, Saturation, Vibrance, Highlights, Shadows, Whites, Blacks in the Color and Light section. HSL is the acronym of hue, saturation, and luminosity. It is actually cylindrical geometry, where you mix the different colors and adjust their intensities, so as to get the perfect combination you are looking for in your video. You can choose whether you want the video to appear dark or lighter, getting the right mix of color each and every single time. In the HSL section, you can enhance the corresponding color in the video. Vignette is a French word, which initially meant the borders of a book. This is the process, which allows the center of the image to appear clear and the edges much fader. In other words, if you wish to highlight the center of the video and blur the rest (the borders, the edges of the video), you are going to need this effect. In this way, you can emphasize on what is important and let the other details simply disappear in the background. You can compare the video between before and after color grading in the A/B comparison view to check the result. You can save the color grading setting as a preset and use it later quickly. If the result is OK, click the Export button to upload to YouTube or Vimeo, or Save as MP4, MKV, WMV, etc. or burn into DVD. Tips: To enter the Advance Color Correction quicker, you can select the clip in the timeline and then click the Color Tuning icon in the toolbar. I hope the above information helps you in understanding the distinguishes between Color correction and color grading and creating stunning videos in Filmora9 with the Color Tuning tools. Besides the color grading feature, you will find more interesting features like Chroma Keying (green screen) and video stabilization. Watch the video below to how to use Filmora9.